This simple worksheet, created to be used with the amazing (and free!) pickmyya.com, will revolutionize the way you approach Free Reading assignments. Students will take a quick interactive survey at pickmyya.com and be matched with one of over sixty popular young adult novels. 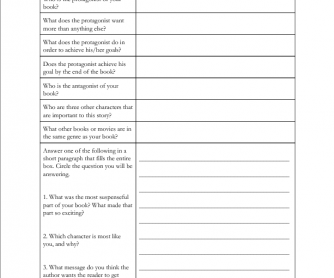 Once students have completed their assigned reading, they can complete this worksheet and turn it into you, their busy teacher. 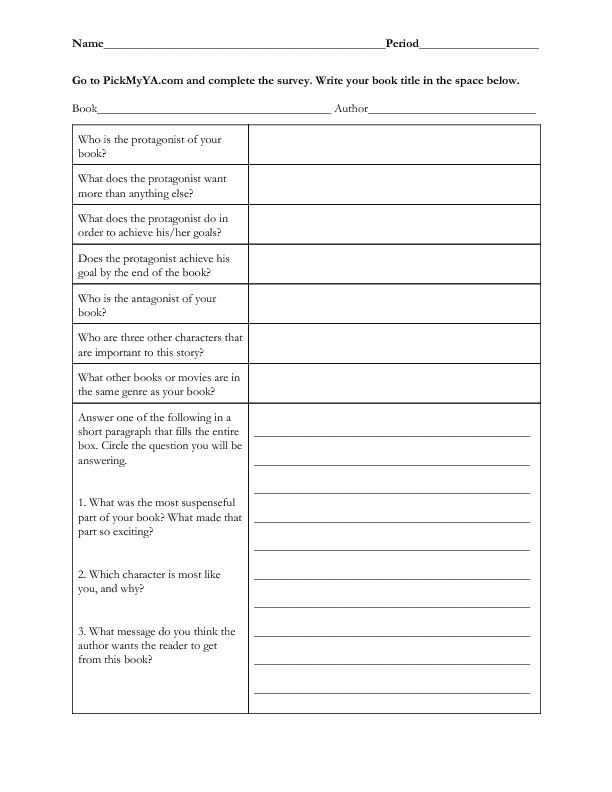 The worksheet requires students to provide a quick analysis of the book and provides a basis for a teacher-student discussion. Plus, the drawing component gives you something that you can put up on your walls.